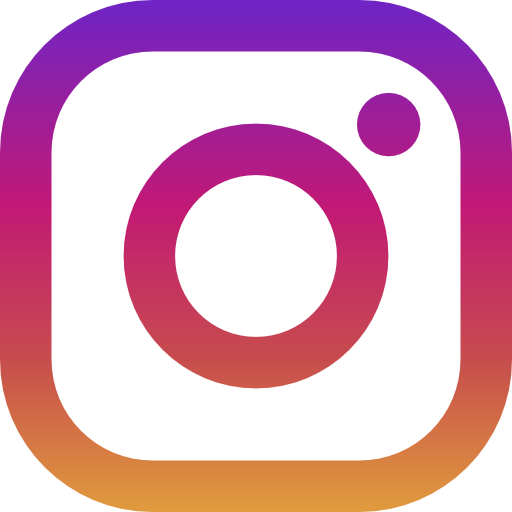 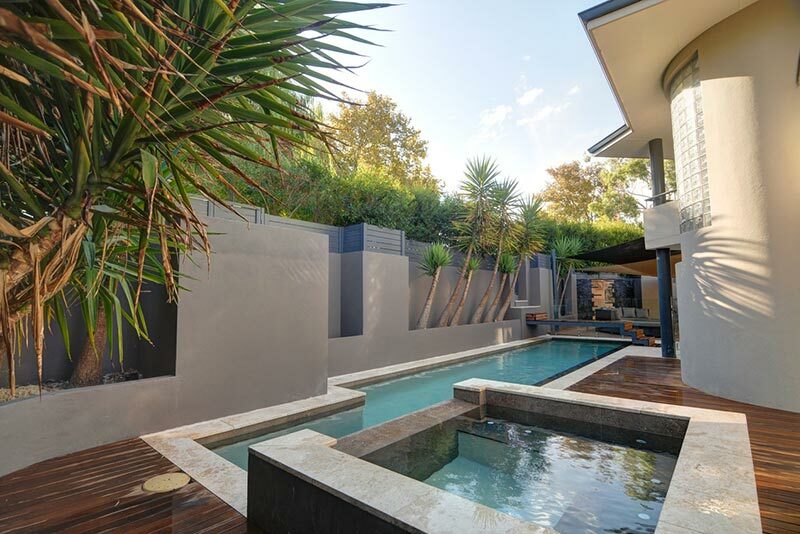 The design, bridge concept and colour palette was inspired by the clients personal experience at the Darwin Natural Spring located within the magnificent the Kakadu National Park. 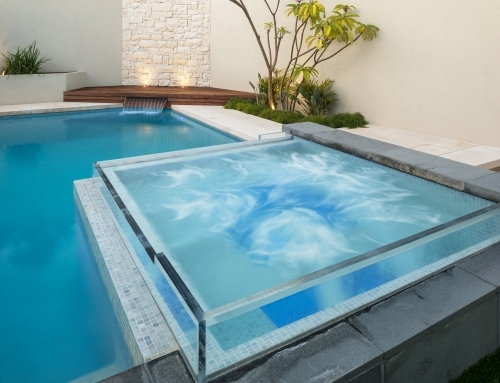 A challenging site with limited access however this didn’t deter us from constructing for the client a bespoke a 12m Lap pool and spillover Spa. 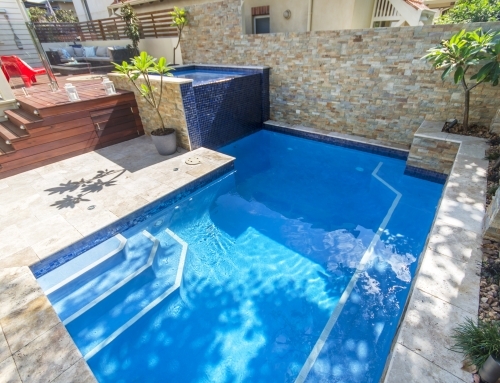 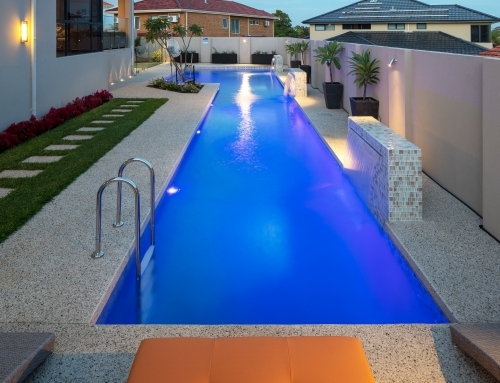 The Natural hues of the tile line, submerged seat and external spa cladding are complemented by the internal finish of Sandy Beach Rainbow Quartz. 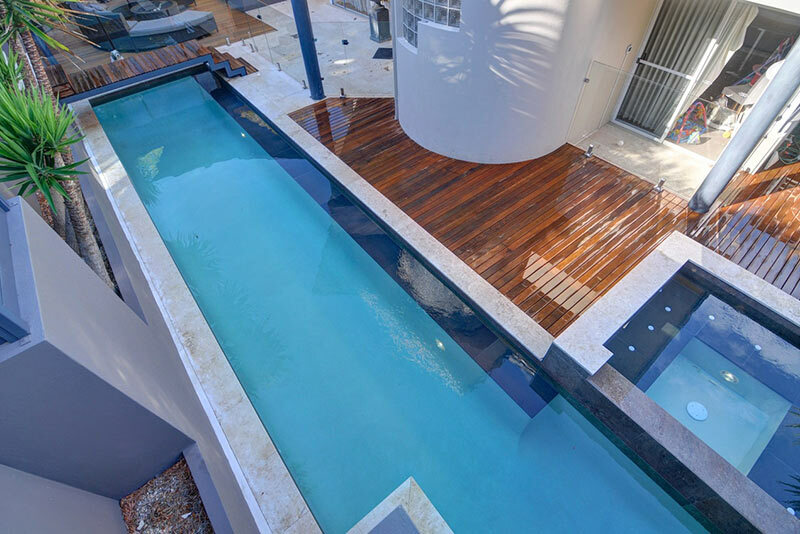 The pedestrian access foot bridge adds unique form and function to this contemporary design. 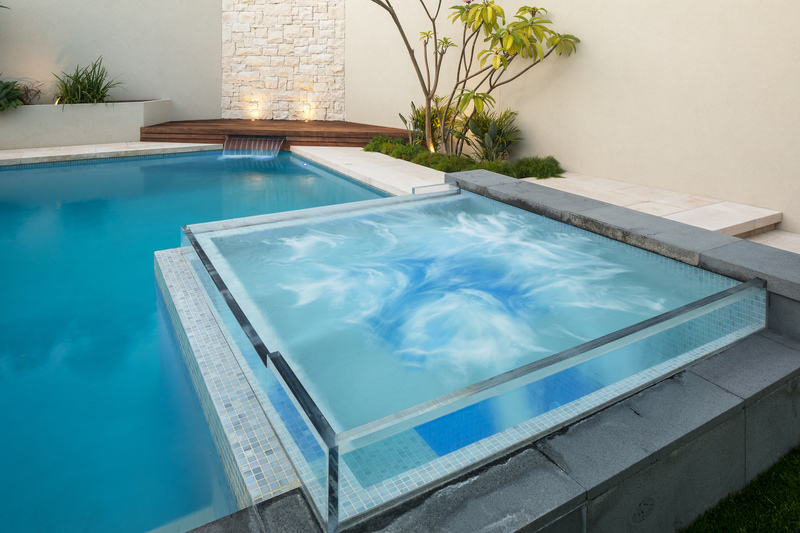 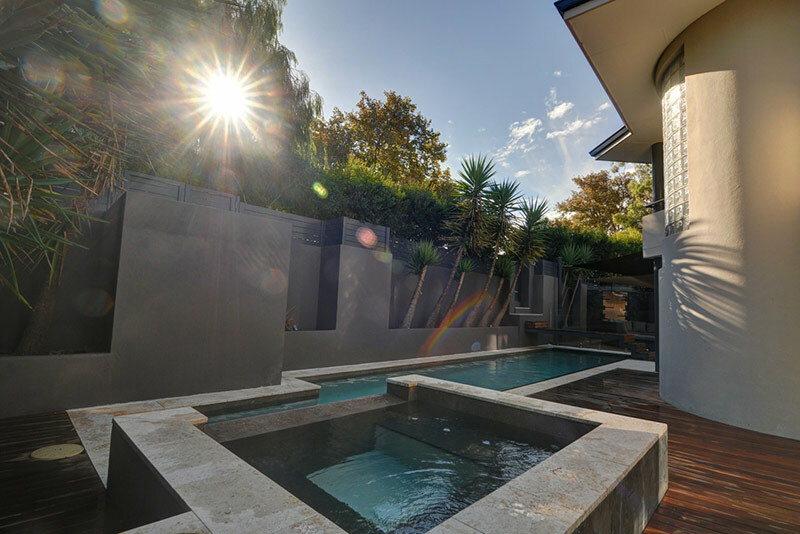 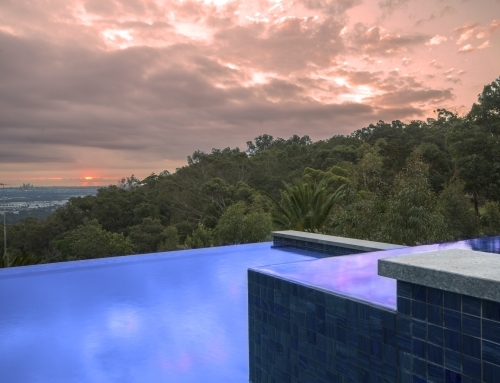 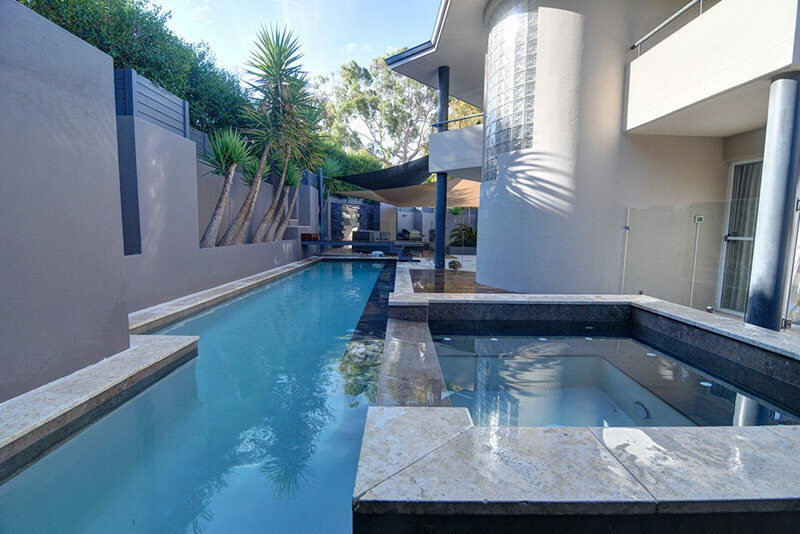 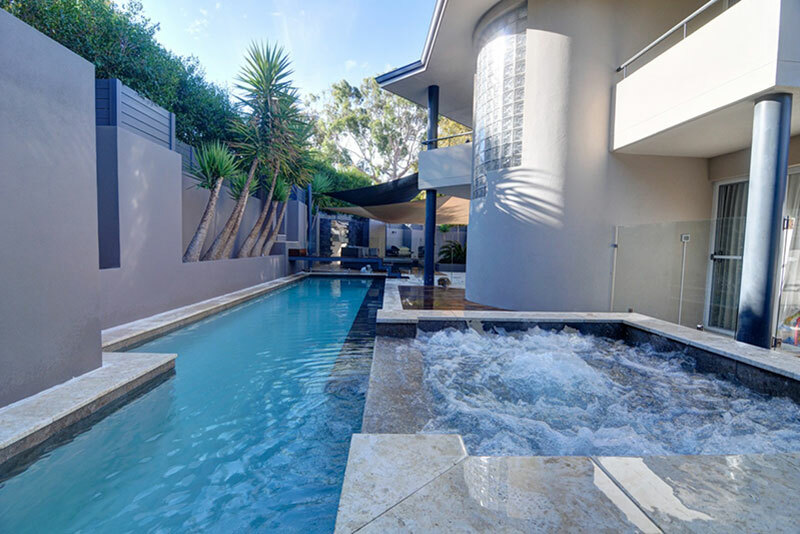 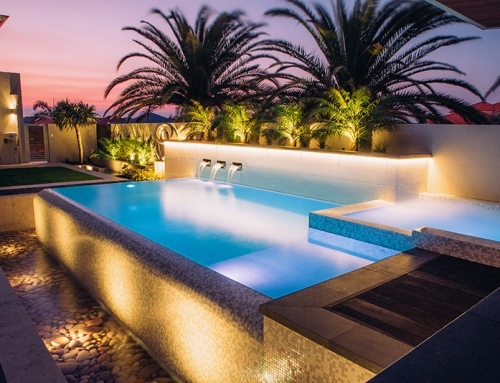 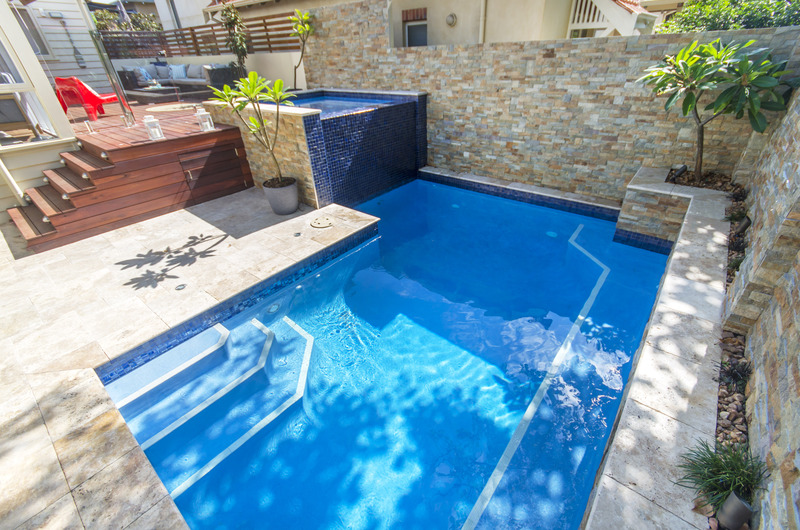 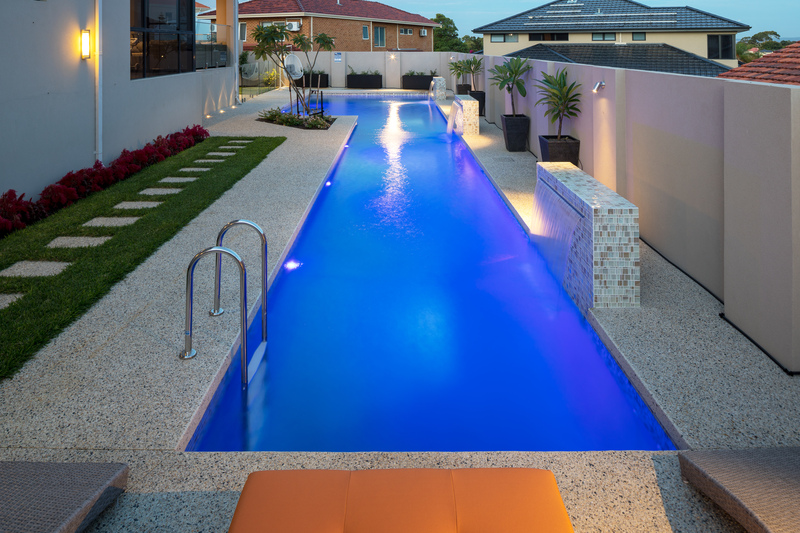 This pool and Spa Combination was recognised as an award winning design and construction project at the 2014 SPASA WA Awards.